The Palacio de los Córdova was built at Placeta de las Descalzas around 1530 and was finished by 1592. Its owner was Luis Fernández de Córdova, Great Lieutenant of Granada and Governor of the town of Villanueva de la Fuente. In 1919, it was demolished in order to build the Gran Capitán Theatre; however the important historic and artistic features were moved to the "Villa María" estate on the road to Pulianas. . 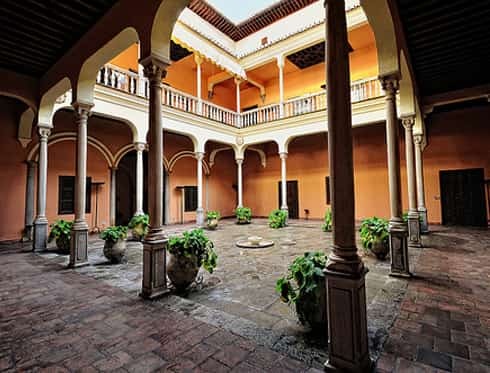 In 1983 the Granada City Council bought the Palacio de los Córdova in order to install there the City Historical Archive.